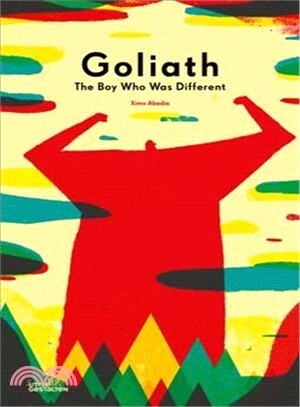 A story about a boy who was a little too big for his boots?… Goliath always knew he was special. He was big. He was brave. He was the strongest. He was different! Convinced that his home had nothing more to offer, Goliath headed out into the world to show everyone what he was really made of. But he didn’t look so brave when confronted with the sea and he didn’t look so big when stood next to the Sun. So what does being big and brave mean? And why was he determined to be that way?…?? Critically acclaimed author and illustrator Ximo Abadía explores concepts of boyhood, growing up, learning, and the complexities we all face in search of our place. Abadía’s vibrant colours and distinctive modern style invites a new reading of a traditional story. Goliath is a tale that is sweet, funny and utterly charming.